When you come to Courtesy Acura in Lexington, KY, you’re getting so much more than your average car dealership experience. You’re getting a team with a proven commitment to excellence, a modern facility with plenty of amenities and an outstanding inventory comprised of the latest and greatest new Acura models. Whether you’re driving to us from Louisville or live right here in Lexington, we want to help you find your dream car! Courtesy Acura has proudly served the area for more than 30 years, and in our time we’ve helped many customers find just what they’re looking for. As one of the largest Acura dealerships in the area, you’ll find we offer a wide variety of your favorite Acura models, right here in our showroom. Browse our inventory of new Acura cars and SUVs online, then pay us a visit to take your ideal model for a test-drive. Whether you’re looking for a spacious SUV or a sleek new sedan, we’re sure to have something you love. Take the new Acura MDX for example. With three rows of seating and a refined cabin, it’s perfect for families on the go. Or, check out the new Acura RDX SUV. With its slate of modern technology and interior amenities, you’ll always be riding in style. We also have a variety of used Acura models for sale, ranging from popular cars like the Acura TLX to the Acura ILX, you’ll find something in great condition. Plus, we offer used cars from other top automakers, all in the name of providing you with options. Let us know which Acura you like best, and our expert Acura finance team can help you work out a payment plan. Once you’re behind the wheel of a new Acura, you’ll want to protect it at every turn. That’s where the team at our Acura service center comes in — they’ll expertly care for your vehicle with routine maintenance and repairs whenever necessary. Our Acura service team is well trained and has plenty of experience working on these luxury cars, so you know you can trust them to know what’s best. We also sell OEM Acura parts right here at our dealership, and can order anything we don’t have right away. 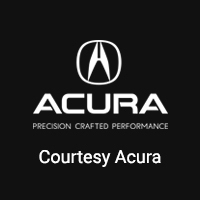 On behalf of the entire team at Courtesy Acura, we’d love for you to pay us a visit and see our dealership in person. We’re located at 3701 Nicholasville Rd in Lexington, KY, which makes us easy to get to from Nicholasville, Georgetown, Versailles and the rest of central Kentucky. Stop by and test-drive a new Acura today!